Kumho Art Hall, a landmark for classical music listeners, is wrapping up its Gwanghwamun era. On Tuesday, the Kumho Asiana Cultural Foundation announced on its official website that Gwanghwamun Kumho Art Hall would close its doors permanently as of May 1. The foundation revealed that it was unable to renew its lease, forcing the closure of two halls in the building in Gwanghwamun, which is currently owned by Deutsche Asset & Wealth Management. Gwanghwamun Kumho Art Hall was built in 2000 exclusively for classical music concerts. Since then, it has been an important venue for various classical music events here, especially as a stage for young and upcoming musicians. The Beautiful Thursday, Kumho Prodigy and Kumho Young Artist concert series, all supported by the foundation, will continue to take place at the venue until April 30. From May 1, the series will move to Kumho Art Hall Yonsei. 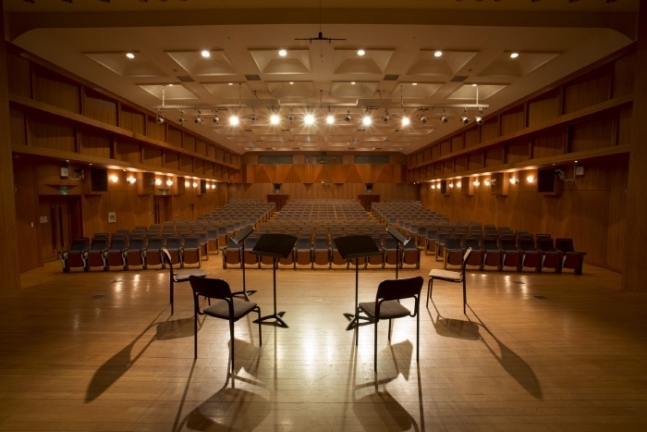 Kumho Art Hall Yonsei, built by Kumho Asiana Group -- the parent group of the nation’s second-largest airline carrier, Asiana Airlines -- was donated to Yonsei University in 2015. The venue in Sinchon, west of Seoul, has 390 seats.